What is one example of your best serving moments at work and one of your worst serving moments at work? 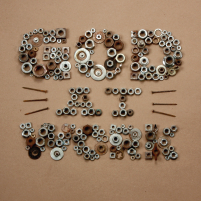 This weekend we conclude our series, “God at Work,” by looking at how the Gospel transforms our opportunity with work. Before starting this study, ask God to clearly speak to you in meaningful ways. Then, whether you are alone or with others, read Colossians 3:22-24 aloud. Background: In Colossians chapter 3 we see the Apostle Paul addressing everyday situations in early believers’ lives with the truth found in Christ. He literally brings it home by addressing key household relationships in the typical Greco-Roman household: wives and husbands, children and parents, household servants and masters of the house. Verse 22 begins by addressing the Christian ‘slaves’ or ‘servants’. Paul’s letters were read aloud in the public gatherings of the early churches. What do you think the significance might be in Paul addressing slaves or servants directly in this letter read aloud to the entire Christian community? What sort of attitude does Paul hold up for the believers who work as household servants in verse 22? Many times, we work to visibly please our bosses in the workplace, but our hearts are not in the work. What would it look like for Christians to take Paul’s instruction in verse 22 seriously? Each of these three verses connects our work with ‘the Lord’ in one way or another. What phrases does Paul use to connect our work with the Lord in each verse? What is one specific way you could work for the Lord and not for human masters in your workplace this week (vs 23), no matter the place or type of work is? What sort of external motivation does Paul set before the Christ-following worker in verse 24? In this series, we have been exploring how our work and faith come together because of the creation plan of God and the gospel redemption in Jesus Christ. How has your thinking about faith and work changed through this series? What is one practical way God is speaking to you about approaching your life at work differently as you walk forward? If you are with a small group, discuss that with one another and pray about these things together. If you are studying on your own, write it down, pray about it, and share this with someone during the next few days.